OnPointe Daniel Fazzina 5-30-15 WFIL 560 FM On this radio show, Daniel Fazzina joins Bishop David Evans and Reverend Emanuel Meteau of Bethany Baptist Church in New Jersey to talk about true testimonies of modern-day miracles and Divine Intervention! Miracle Accident Survivor &amp; Radio Personality, Earl Ingram On this episode of Divine Intervention we welcome Earl Ingram Jr. Earl shares his testimony of how the Lord saved him from several near-fatal car accidents, and how the final one, in which he and his family should have been killed, caused him to make a serious commitment to follow the Lord and do God's work for the rest of his life. Daniel Fazzina on Caravan to Midnight w/John B. Wells Daniel Fazzina joins Coast to Coast veteran host John B. Wells to talk about Jesus, Miracles, Divine Interventions and the like, and also share some of the testimonies featured in his book, Divine Intervention: 50 True Stories of God's Miracles Today! Daniel Fazzina featured on Straight Talk WEEU AM 830 Daniel Fazzina joins host Nick Lawrence on WEEU AM 830 in Reading, PA to talk about Jesus, Miracles and Divine Intervention. They discuss miracle healings, conversion experiences, answered prayers and near-death experiences. They also discuss some of the stories featured in Daniel's book, Divine Intervention: 50 True Stories of God's Miracles Today. Missionary &amp; Entrepreneur Rich Davis On this episode of Divine Intervention we welcome missionary, entrepreneur, and clean water advocate, Rich Davis, CEO of the Pure H2O Project. Rich shares some of his testimonies, such as run ins with witch doctors, and miracle healings while doing missions work in Haiti. He also discusses his non-profit clean water advocacy group, Clean H2O. Daniel Fazzina on Coast to Coast AM 12_20_14 - Miracles Daniel Fazzina joins host Dave Schrader on Coast to Coast AM to talk about modern-day miracles and Divine Intervention. They discuss near-death experiences, close calls, conversion experiences, miraculous healings and visions of Jesus Christ. Daniel shares some of the testimonies contained in his book, Divine Intervention: 50 True Stories of God's Miracles Today. 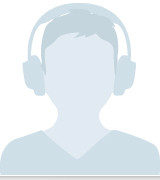 Dave also took live callers who shared their own miracle stories. Click to listen in to this inspiring show! Daniel Fazzina on Darkness Radio News Talk AM 1130 12_10_14 Daniel Fazzina joins hosts Dave Schrader and Tim Dennis on the Twin Cities's News Talk AM 1130 best paranormal radio show, Darkness Radio, to talk about miracles and Divine Intervention. This was a fun and inspiring interview, shining the light of Christ into the darkness! Daniel Fazzina on New Morning Praise WXML 12_11_14 Daniel Fazzina joins host Jason Dezurik on WXML New Vision FM to talk about Divine Interventions and Miracles. Author Prissy Elrod On this episode of Divine Intervention, we are joined by Author Prissy Elrod, who talks about her Memoir, "Far Outside the Ordinary" in which she details her journey of supporting her husband through terminal brain cancer and persisting with her "stubborn belief" in miracles, and how through all the pain, sorrow and loss, God ultimately brought her story to a happy ending. 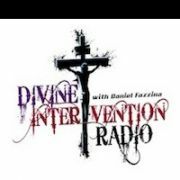 Author &amp; Minister, Dante Fortson On this episode of Divine Intervention Radio, we are joined by Minister Dante Fortson, author of "As the Days of Noah Were - The Sons of God and the Coming Apocalypse" and many other books. Minister Fortson focuses on the supernatural, and on this episode we tackle such subjects as Nephilim, Giants, UFO abductions, hybrids, and what this all has to do with the Bible and God's plan for mankind. Tune in to this extremely interesting and informative show!